At Cotytech, we take pride in offering products that are engineered to the highest level of innovation and quality – causing them to ultimately be simultaneously unique and practical. Our mobile computer workstations are no exception to this. 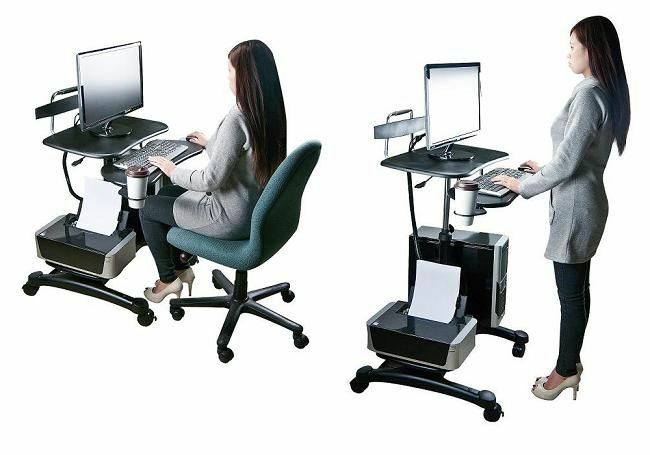 Their smooth, easy and quiet height adjustments create a versatile mobile or static environment that allows for maximum flexibility and freedom. While the dynamic Sit Stand Workstation w/ Wheels & Cable Manager is designed with almost instantaneous sit and stand abilities and makes for the ideal ergonomic workstation complete with monitor, keyboard, and print platforms perfect for any type of work, the heavy duty Mobile Computer Workstation allows for on-the-go mobility featuring solid aluminum alloy construction (able to hold a large amount of accessories) and monitor tilt and swivel capabilities which can accommodate multiple users. 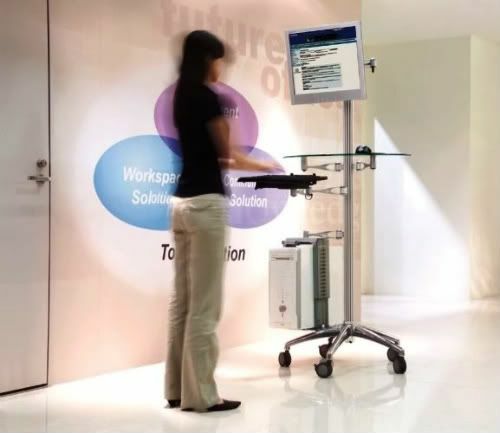 Whether your needs are more related to rapid sit and stand functionality or the option to effortlessly traverse room to room, Cotytech has you covered with their highly versatile, adjustable, ergonomic sit and stand mobile computer workstations.